Very similar in style of smoke to its bigger brother, the Don Alejandro, the Famosos is a Robusto that will suit smokers who enjoy rich and powerful cigars. 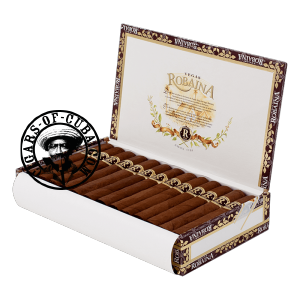 The flavors differ slightly in the initial phase, where we find hints of pepper and musk, but then like all Vegas Robaina cigars a switch occurs in the second and third phase of the cigar, when heavy power dominates. Several years in the humidor will bring a better balance to this cigar of character. A great Robusto which has been made to rival with Ramon Allones and other top 5 Robustos. A generous cigar with woody and spicy notes.